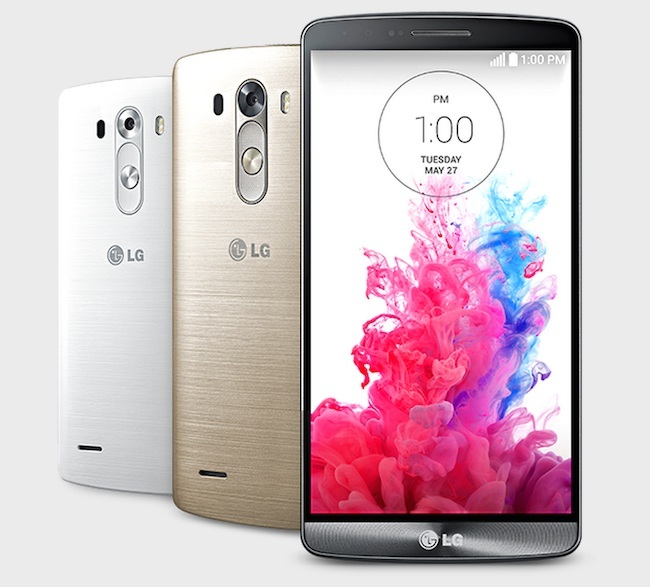 Today at events taking place in London, New York and San Francisco, LG has officially announced its flagship smartphone, the LG G3. The phone runs the Android version 4.4 and features a Snapdragon 801 processor with two configurations, either a 32GB version with 3GB of RAM, or a 16GB version with 2GB of RAM. The real highlight is the Quad HD 5.5 inch screen. Which features an eye popping resolution of 2,560 x 1,440 pixels. The phone is 8.9mm thick at its largest, and tapering at the sides so it appears thinner to the eye. Now coming to the cameras, LG has dubbed the front-facing camera as the “selfie camera” which is a 2.1 megapixel camera. LG has talked it up as being better than many “Chinese made phones” that offer 5MP on the front, thanks to improved sensitivity. The 13MP rear camera has a laser cone which apparently improves auto focus by speeding it up. LG has also flattened its software design and has used softer color palette in setting its theme for icons and the operating system. LG icons have been redesigned as circles. And there are multiple new features like Smart Bulletin which gives the user reminders about things like missed calls, and even prompt them to use unused features on the phone after they have owned it for a while. The phone itself is made of polycarbonate but with some variants having a metal film, so it looks a bit more bling than the LG G2’s shiny plastic. There is no fingerprint sensor on the G3. LG says it does not believe the tech is ready yet and because it has its own Knock On code security feature which lets users have a tap pattern to unlock their phone.The LG G3 will launch in South Korea first, but is due to land in the US and Europe next month. Tech specs look promising and they have given a tough competition for Samsung Galxay S5.